Well today was my unexpected down day, as I was extremely sick all night...not so fun. I thought I might be able to go with the group to visit Auroville for the morning, but decided against it. 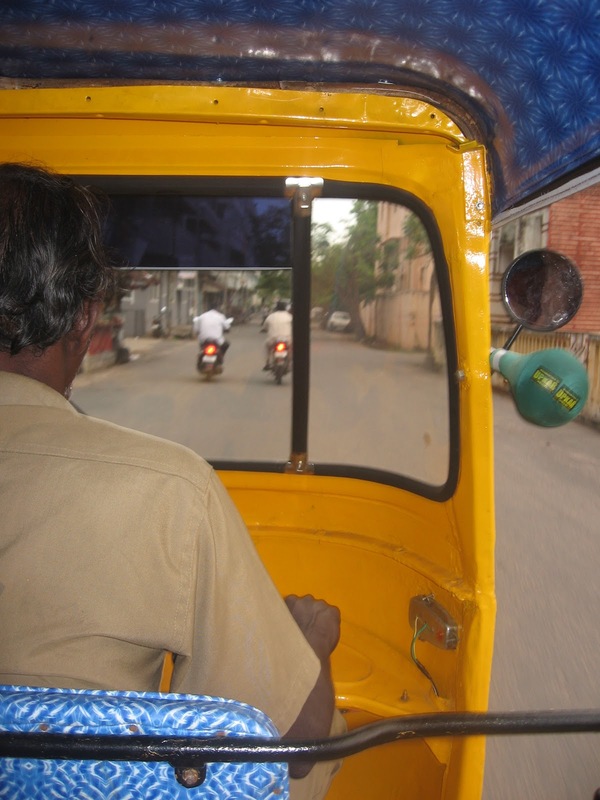 Auroville is an Ashrom just outside of Pondicherry. There are about 2,000 people living there from over 40 countries around the world. It is a place where men and women from around the world come together to live in peace and harmony. I don't really have a lot of information about it since I didn't go, but I do know from talking to people who went that it was very peaceful....no horns honking!!!! By about noon I decided to venture up to the pool side while my room was being cleaned and while I waited for the group to return. It is so nice on the roof top...hot with a nice breeze. 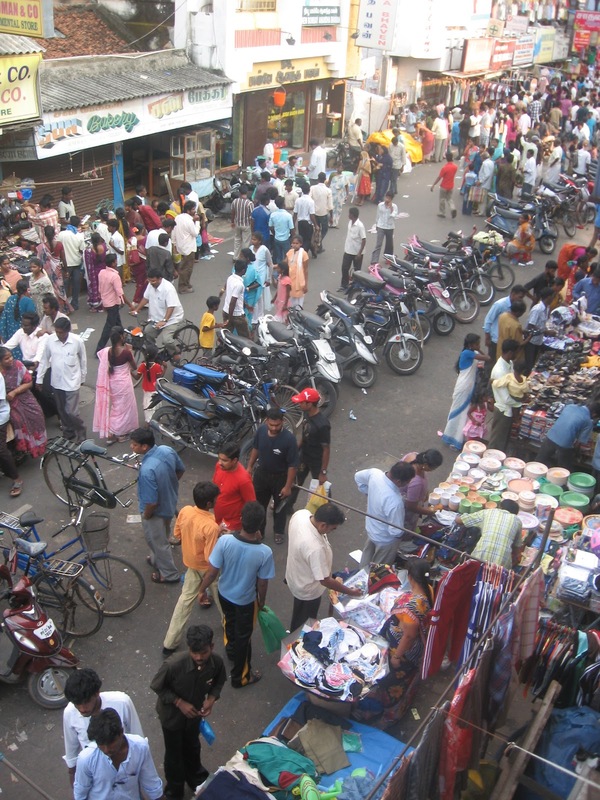 By mid day I decided to venture out with some people to visit the market. We decided to take a tuk tuk....always an experience!! 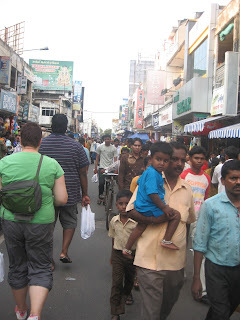 After we were dropped off by our tuk tuk, we had to walk up a short street to reach the market. I was just commenting on how quiet it was and how that was such a nice change....that was until we turned the corner!! 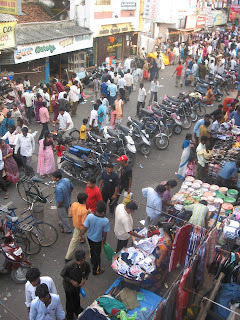 Once around the corner, it was massive numbers of people and shops full of hustle and bustle...in true Indian style. I stayed at the market for about 20 minutes, picked up a few items and decided to head back....not feeling that great yet I guess. Before dinner all our team ended up going to the hotel bar for a drink...felt a bit like we were in an igloo with the all white decore and purple neon lights. Some of the group headed to the French quarters for dinner out, while the rest of us headed to the hotel restaurant. Not much to eat for me today, but hopefully I will be back on track by tomorrow.